We have a heat wave going now and I am on a refreshing beverage making streak. 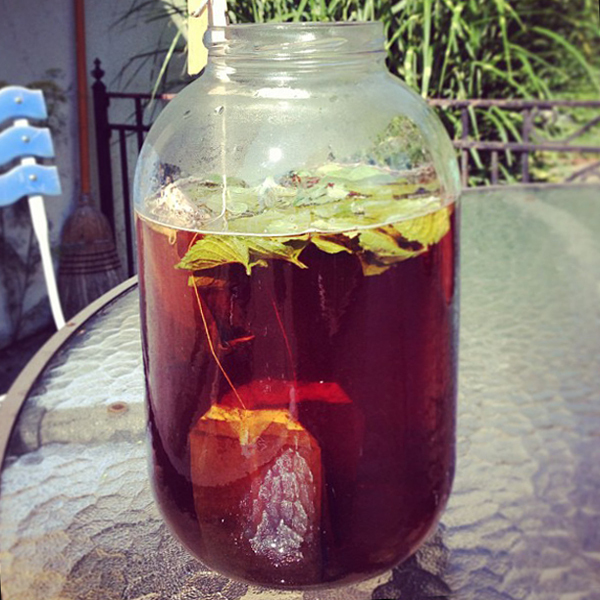 This time it's mint iced sun tea. Mint from my herb garden!